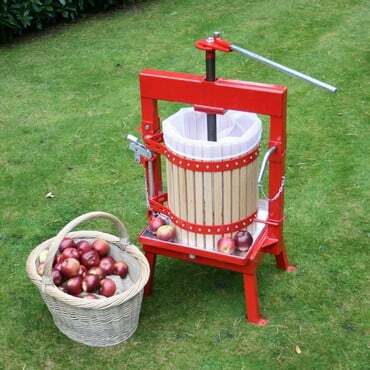 The 20 Litre Cross Beam Fruit Press can press around 18kg/40lbs of apples or pears to create up to 8 litres/14 pints of delicious fresh juice with just one simple operation. 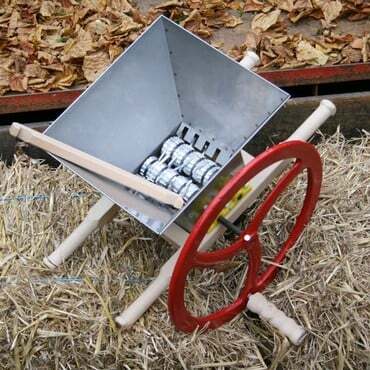 Produce up to 8 litres in one operation of freshly pressed apple juice with this tough, steel and beech construction 20 Litre Cross-Beam Press. 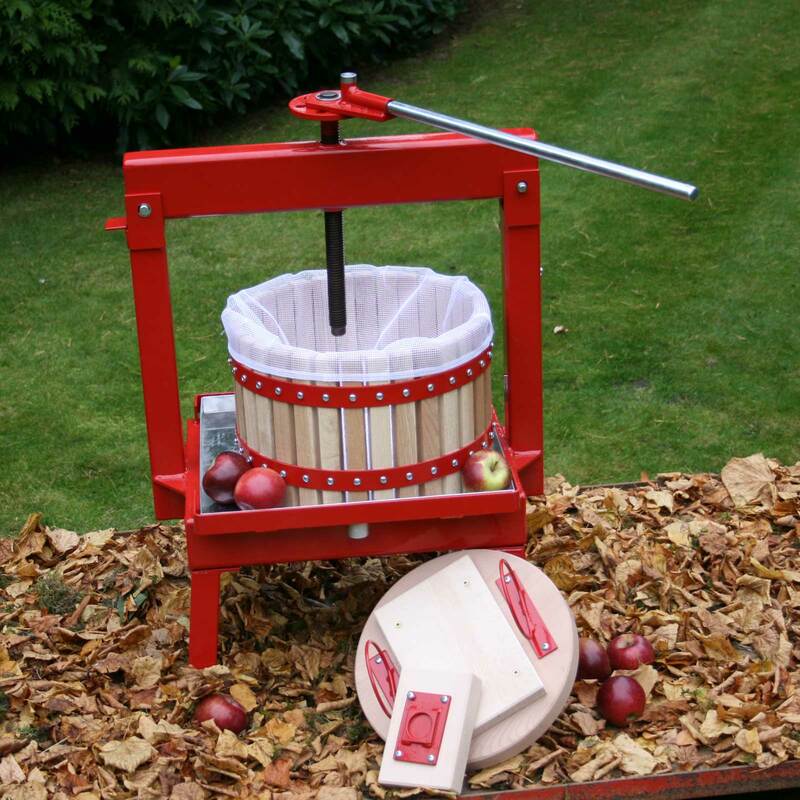 Operation is simple; fill the press cage with your crushed apples and wind the handle to force fresh, pure apple juice through the beech staves and into the collection tray. Each operation can crush approximately 18Kg/40lbs of milled apples and produce around 8 ltrs/14 pints of refreshing juice. If you're just starting out or for pressing smaller quantities of fruit, the 12 Litre Press is ideal - and we even stock a specialist Fruit Crusher to prepare your fruit for pressing and help ensure you extract every last drop of juice! 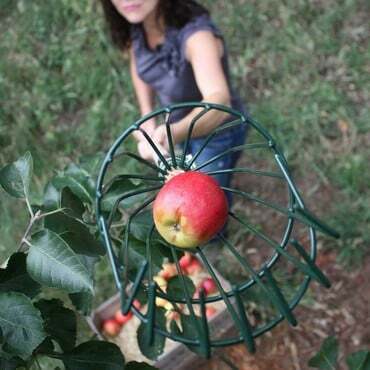 Optional straining bags are available which are perfect to catch any unwanted pips, flesh and skin for a clearer fruit juice. 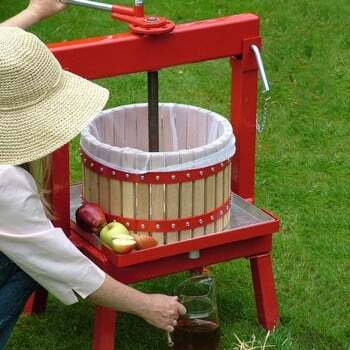 Used to crush apples for 70 litres of cider. A few tips for anyone though. 1) Secure the press to a solid surface, I used an old coffee table with a solid base 2) Buy some 1" hose to attach to the outlet and secure with hose clamps. 3) Oil the screw with veg oil or similar 4) Rotate the basket after each pressing to avoid warping I found it easy to use and each pressing yielded between 6 - 10 litres of juice from my particular apples. By using the fruit crusher i also purchased from Harrod, i found the fruit was then prepared to the exact consistency needed for pressing. If fruit is liquidised to a puree, it is too runny and if it is cut by hand, the pieces may be too large to extract the maximum amount of juice possible. 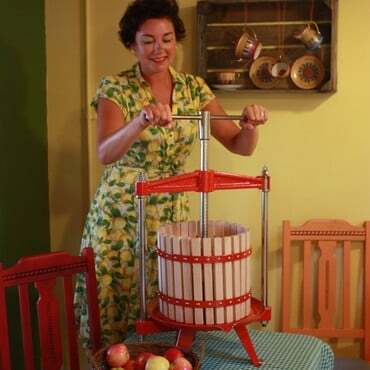 "A traditional fruit press is the ideal way to transform an overabundance of apples and pears into a delicious juice."